Thai iced coffee may seem to some like an exotic treat, while others who have gotten a hankering for the taste can’t seem to go too many days without it. 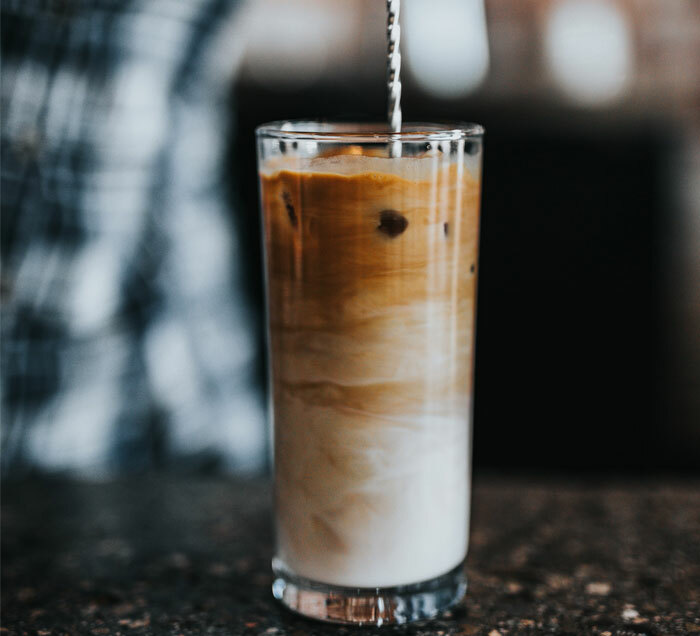 While Thai iced coffee is everywhere in Thailand, it often seems like you’ll need to shell out a few extra dollars at your local artisanal coffee shop to get a fix here in the States. However, that’s no longer the case. Here’s a recipe for making delicious Thai iced coffee by yourself, so you can keep a jug in the fridge and have a tasty cup whenever the mood strikes you. Whether you’re an old-school Thai coffee lover or are just discovering this amazing new type of coffee, this recipe is a great way to keep the Thai coffee love going in your home, no matter the season. First, brew two to four cups of black Thai coffee. You can get premium Thai coffee courtesy of The Exotic Bean, which distributes USDA-certified organic, shade grown, direct trade, sustainable Paradise Mountain coffee direct from Thailand. Standard drip brewing is fine, but err on the side of making it stronger than usual, no matter how strong you tend to make your coffee. Remember: you’ll be adding milk and cream later so you want to start out extra strong. Once you’ve finished brewing your coffee, let it chill in the refrigerator for about two hours. Pour your hot coffee into a container and add about four to six tablespoons of sweetened, condensed milk. Stir well until the milk is dissolved, then add ice cubes and put it back in the refrigerator for about an hour or so. When you’re ready to drink, pour a glass over ice and add as many tablespoons as you like of heavy cream or evaporated milk. Thai iced coffee is supposed to be sweet, so don’t be afraid to add more milk or cream. Of course, you don’t have to have your Thai coffee iced to enjoy that wonderful, exotic taste sensation. There are plenty of ways to enjoy Thai Coffee, including a standard hot Thai coffee recipe. Just put two tablespoons of your ground Paradise Mountain Thai coffee into your coffee filter along with ¼ teaspoon of ground cardamom. Put in water for two cups of coffee and brew. Pour into two cups and stir in one tablespoon of sweetened, condensed milk per cup. Naturally you can adjust the amounts proportionally based on how many cups of delicious hot Thai coffee you would like to make. Now that you know how to make your own Thai coffee, feel free to give it your own unique spin. Many people have some interesting ideas on how to flavor their Thai coffee. Some like to add almond extract, while others like to add Stevia for extra sweetness without the added sugar. Some people like to throw in a little Cointreau, and make themselves a Thai coffee cocktail – it’s all up you. Try it the standard way, then experiment with different flavors and see what you like. You just may discover the next great Thai coffee taste sensation! We love to see great coffee from all over the world shared among the people who love it the most. For more tips, facts and news about coffee, especially Thai coffee, or to order Paradise Mountain Thai coffee for your home, please visit us at TheExoticBean.com.